Stirdy metal design doubles as a glass break hammer in emergencies! 1. Using the FM transmitter for the first time, you need to pair it with your smart device. 2. 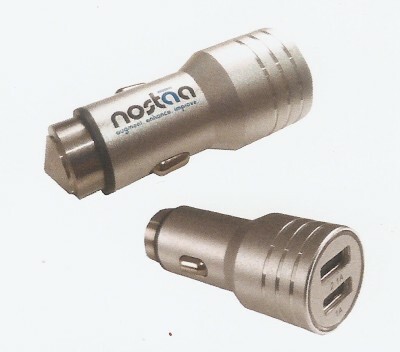 Plug the car charger into your car cigarette socket. Blue light up means it's in pairing mode. 3. Turn on the bluetooth function of your smart device, search for bluetooth devices and select "ALD50C"
5. Now you can enjoy your music through the car stereo. Note: you want pair another smart device, you need to disconnect the bluetooth of first device.